More than 2 billion people travel by lifts every day, as cities get denser and buildings get taller. The “Smart Elevator” market is estimated to grow to more than $26 Billion USD by 2022, especially because of population growth, urbanization and pressure to reduce energy consumption. As the world population shifts to cities and building renovations accelerate, demand for elevators, lifts, escalators and moving sidewalks continues to boom. Add to that the acceleration of innovation – from smart lift technologies to energy efficient flat belt and cable-less lifts – and competing in the market becomes even more critical to the success of your business. CSA Group can help you take advantage of these opportunities and keep your product development processes on track by testing and certifying your elevating devices for compliance and safety in global markets. Unmatched expertise: We have the deep technical expertise you need to bring your elevators, escalators, and other elevating devices to market with speed and confidence. Industry leaders like OTIS, Schindler, and KONE already rely on that expertise. Efficiency and speed: Time to market is a critical variable in the testing and certification process. We are committed to being as efficient as possible while delivering high-quality results. CSA Group can help you ensure that people, freight, and equipment get where they need to go safely and efficiently using certified elevating devices. We can certify your control panels (CP) for reliability, safety, interoperability, and even cybersecurity for global and local market access. Reliability, performance, and efficiency are key indicators of successful drive and traction machines, and CSA Group tests and certifies for all three and more. Modern customers are requiring their new purchases to consume less energy than the previous generation of product. CSA energy efficiency marks can help set you apart from the competition. Safety is central to the performance of all hydraulic products, – help ensure peace-of-mind with your target customers by trusting CSA Group with your certifications. By having your speed governor switches and safety switches tested and certified by our experts, you ensure compliance in your global and local markets and demonstrate your commitment to safety. 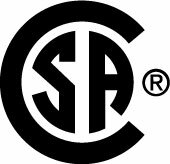 The CSA mark on these critical elements communicates confidence, quality, and reliable performance to your customers and helps you enter North American and global markets quickly. The expert team at CSA Group can help smooth the way to certification and approval with a full complement of testing, inspection, and certification services for easy access to global markets. Product safety is non-negotiable in the elevating devices business. That’s why you should trust our unrivalled experts and proven process in the evaluation and certification of your products. Rely on the expertise of CSA Group for the proper and complete evaluation of your buffers, so you can enter markets in North America, Europe, and Asia with efficiency. As global experts in escalator systems, CSA Group has the knowledge and expertise to ensure your braking systems are ready for global and local markets. We can help you ensure safety and compliance of these very important elevating devices through our comprehensive testing and high-quality certification programs for nearly any market. The rise of cyber related attacks on Internet of Things (IoT) and the Industrial Internet of Things (IIoT) infrastructure has made it increasingly vital to have cybersecurity protocols in place to support functional safety and safety-related solutions in commercial or residential buildings and industrial processes. CSA Group offers dozens of testing protocols for elevators, escalators, moving walkways, and other lifting devices from CSA, UL, ASME and more.